A NOT FOR PROFIT beautiful Certified Organic Hand & Nail Cream designed to replenish and retain moisture to your skin with Organic Mango & Sea Buckthorn & Vitamin C.
Eco by Sonya's first NOT FOR PROFIT PRODUCT. 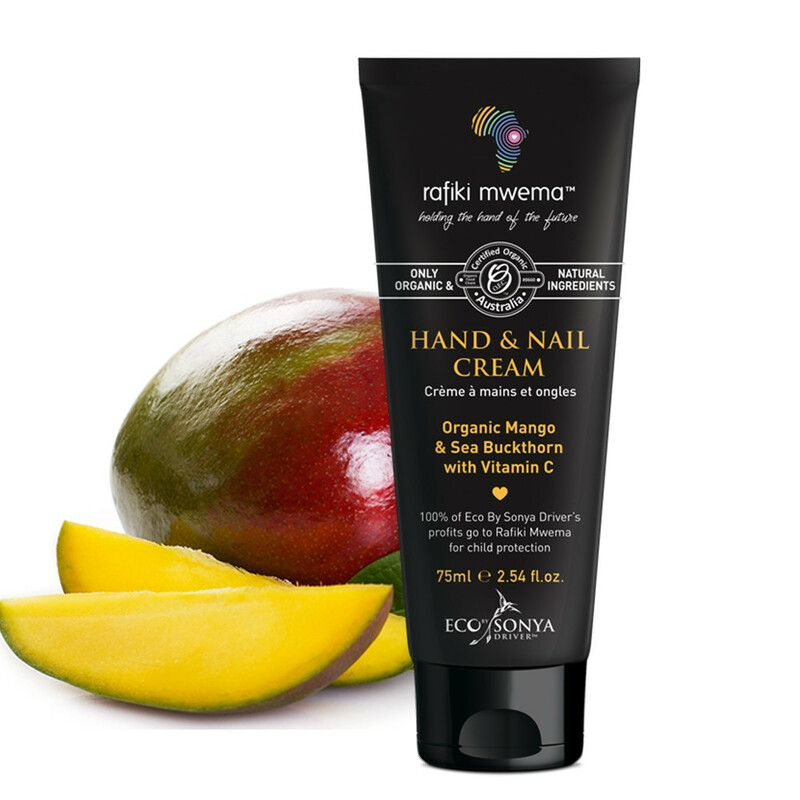 100% of Eco By Sonya Driver’s profits from the sale of this hand & nail cream are going directly to RAFIKI MWEMA. Eco by Sonya are proud to only use certified organic and 100% natural ingredients, are toxic free, cruelty free, vegan and made in Australia. Ingredients: Organic Mango Butter is a natural source of Vitamin A and reduces fine lines & wrinkles for a glowing and youthful look. It soothes the skin and moisturises without being greasy.